To honour the life of Vincent Van Gogh, an oil-painted film has been created to tell his unique story. Loving Vincent showcases the tragic death of the artist, exploring the mystery of how and why he came to be shot. One of the most highly regarded artists in history, Van Gogh only sold one painting during his life, but today his life and much-admired works have inspired millions of people. 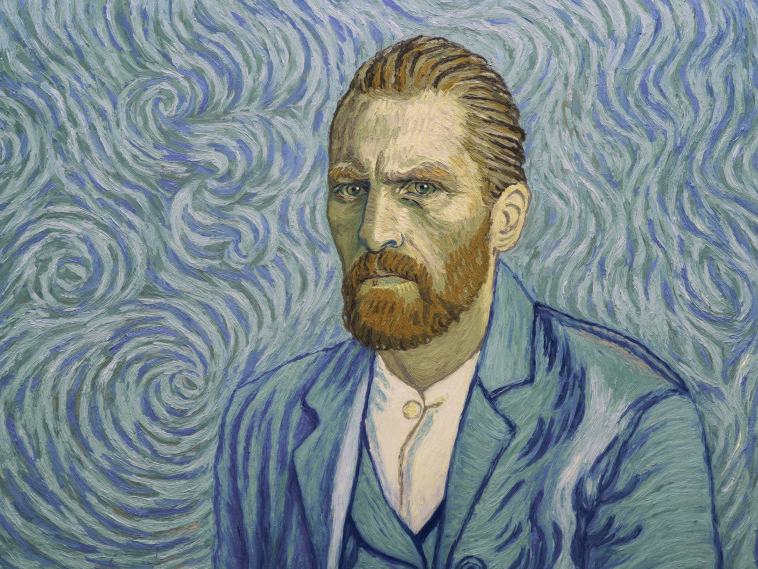 All the characters in Loving Vincent were performed by real actors and then designed to look like Vincent’s paintings. “We cannot speak other than by our paintings,” Van Gogh once said, and that is exactly what this film does. It brings Vincent’s paintings to life to tell his story. Armand Roulin (Douglas Booth) goes on a journey to deliver a letter Vincent wrote to his brother Theo. Roulin, much like most of his town, regarded Vincent as a mad man. He only did this as a favour to his father, Postman Joseph (Chris O’Dowd), who was a friend of Vincent. Armand travelled to Paris, but discovered Theo had also died. After setting out to the village of Auvers, he discovered that the people of the village all had different stories. He decided his new mission was to piece together the mystery of Vincent’s death. Did he shoot himself? Or was he shot by his enemies in the village? Robert Gulaczyk plays the tortured yet kind Vincent Van Gogh brilliantly. Saoirse Ronan, Eleanor Tomlinson, Jerome Flynn and Helen McCrory all play key characters and deliver extraordinary performances. The film is beautiful and heart-breaking at times. The viewer is captivated from start to finish, discovering things they did not know about the famous artist. Roulin started his journey being sceptical about Van Gogh, but ended it in awe of the inspiring man. Ultimately, he concluded that he probably did shoot himself. Despite Van Gogh’s troubles, Roulin decided that he was a unique man with incredible talent. “You want to know so much about his death, but what do you know of his life?” said Marguerite Gachet (Saoirse Ronan). That is the point of this film; not just to depict the unusual circumstances of his death, but to celebrate the mysterious painter’s life. It took a team of over 100 painters six years to create, by hand, every frame of the film. They and the rest of the crew deserve endless praise, having delivered a truly cinematic masterpiece. “Who am I in the eyes of most people. A nobody, a non-entity, an unpleasant person. A success, Loving Vincent illustrates perfectly what Vincent Van Gogh had in his heart.